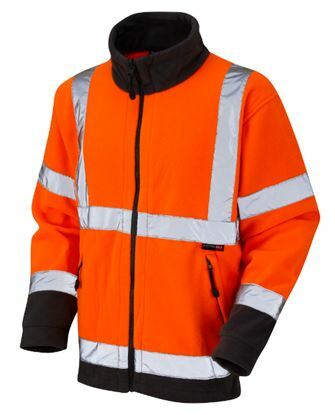 Our core Hi Vis Range covers waterproofs, to fleeces, to waistcoats. 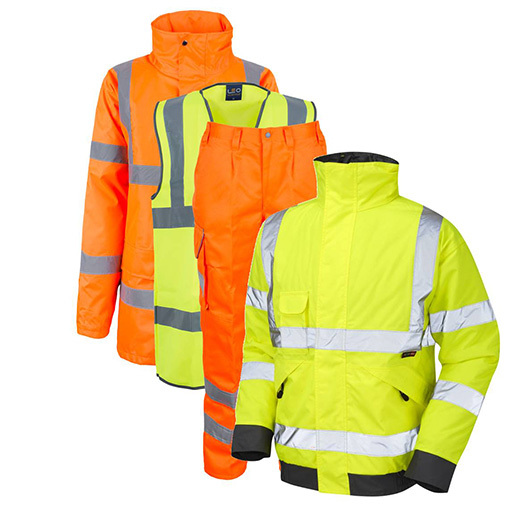 We stock a comprehensive range of Hi Visibility Garments that ensures we have the solution for you. 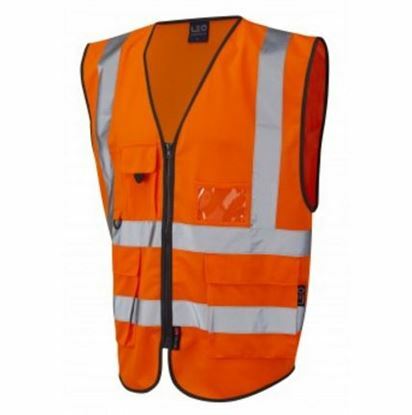 All the Hi Vis garments you need are available in this range; everything from waterproofs to waistcoats, from bomber jackets to body warmers, and from trousers to t-shirts. Deeper arm holes, scooped sides allowing pocket access, ID pocket, mobile phone pocket, 2 front bellowed storage pockets, double pen pocket with D Ring. 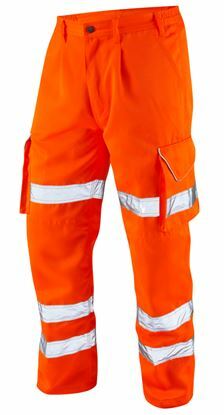 Breathable waterproof trouser designed specifically for the rail industry meeting all Rail Track standards. Cargo style with many pockets and zipped at bottom of leg for easy donning. 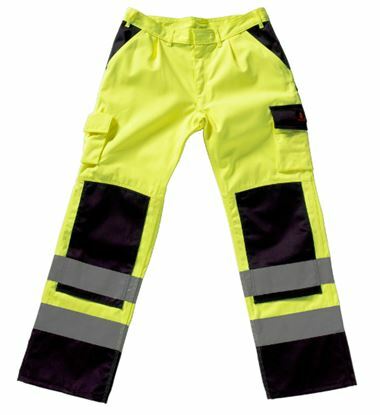 High quality 280 gsm Polycotton trousers. 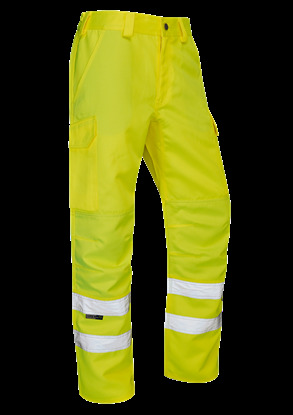 Triple stitched, 3 reflective tape bands, water repellant and stain resistant coating, YKK zip, internal knee pad pockets, cargo pockets. 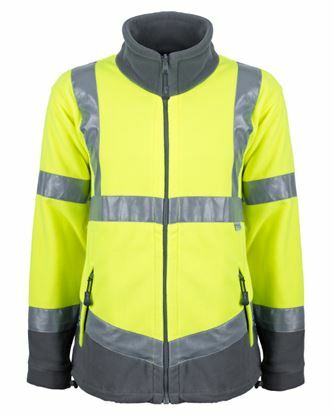 V-shaped drop tail back, two way main zip, full length hook & loop-fastened double storm flap, chin protector, internal nelson pocket, internal zipped patch pocket, large hook & loop-fastened bellowed front pockets, i.d pocket, garment will take a FLJ532 Bertee fleece jacket as a liner. 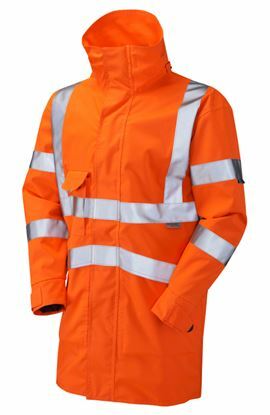 Railway group standard go/rt, V-shaped drop tail back, two way main zip, full length hook & loop-fastened double storm flap, chin protector, internal nelson pocket, internal zipped patch pocket, large hook & loop-fastened bellowed front pockets, i.d pocket, garment will take a FLJ532 Thor fleece jacket liner. 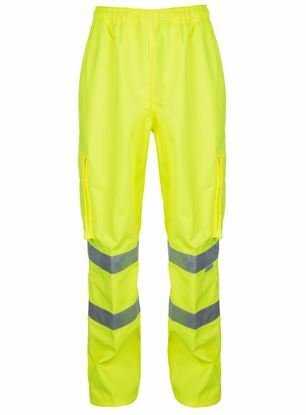 Two tone hi-viz yellow/navy cargo style kneepad pocketed trousers, Teflon coated 310gms 65%/35% polyester cotton fabric. 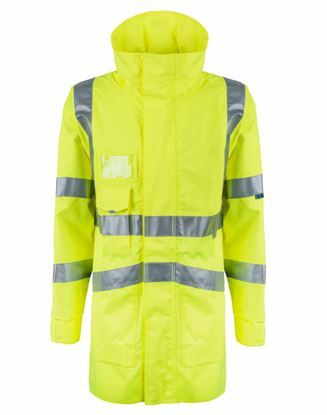 Available in 3 leg lengths; short = 30", regular = 32" and tall = 35"
A lightweight breathable anorak, with Lycra storm cuff for comfort. 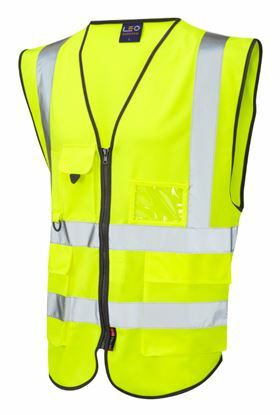 Internal zipped patched pocket, and large front pockets, provide security for personal belongings. 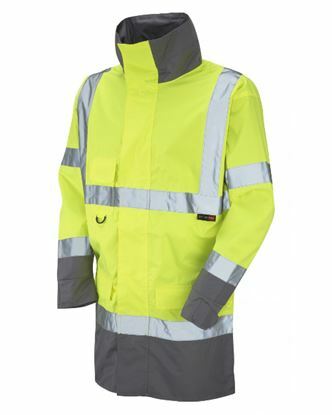 Full length storm flap, and concealed hood help keep you dry.